Does my auto insurance policy cover rentals? Depending on where you travel, you may be able to rely on public transit to get you from your first destination to your second. Sometimes though, you’ll need to rent a vehicle. In these cases, you may be surprised to learn that your existing auto insurance policy may not cover rentals. Here’s what to do if you plan to rent a car on vacation this year. Some auto insurance policies will protect you when driving internationally, while some only cover drivers in Canada or in the United States. Others will only protect you if you’re driving your own vehicle. To understand exactly what your auto insurance policy covers, find your policy and read it carefully. If you’ve read your policy and it looks indecipherable, contact your broker for more information. Your broker is the liaison between you and your insurance company. You can ask them specific questions to clarify your understanding of your auto insurance policy. 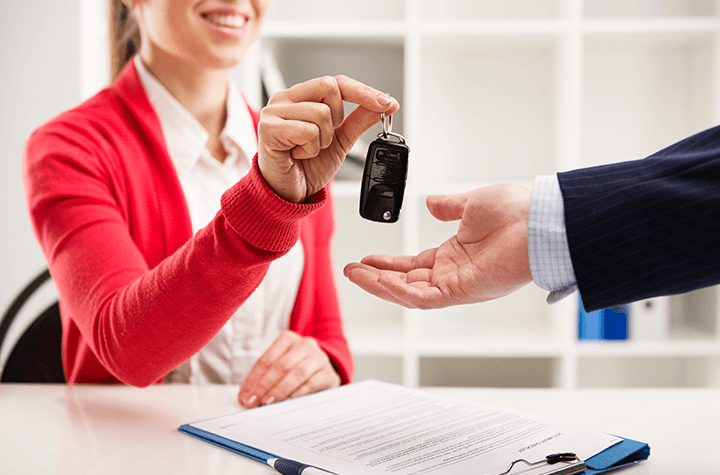 If your policy covers rental cars, ask your broker what the claims process is like and whether or not you need to purchase the rental company’s supplemental insurance. Try to get your broker’s answers in writing as well, just in case you need to refer to it later. Oftentimes, credit cards will include a small amount of coverage for rental vehicles. Read your credit card disclosure paperwork to see if your card includes auto insurance. As with regular auto insurance policies, there might be geographical restrictions on your credit card auto rental insurance. Usually, the coverage only applies if you’ve reserved and paid for the rental using that card. If you’re unsure, contact your credit card company for more information. If you learn that your policy and card do not cover rentals, contact your broker to purchase additional insurance or get it through the rental company. When it comes to auto insurance for rental vehicles, it’s better to be over-insured than under-insured. Never let a fender-bender turn into a big problem. If you’re planning to rent a car while on vacation, do your research before you leave. Pull a copy of your auto insurance policy and read it to see whether or not rental vehicles are covered. If you’re unsure, contact your broker for more information or to purchase additional coverage. Double-check your credit card insurance benefits too, just in case they cover rental cars. Be aware that insurance policies might be geographically restricted, so just because you were covered last month in Calgary, doesn’t mean you’ll be covered next month in Zimbabwe. Once you’re certain that you’re insured, enjoy the trip!